This virtual conference provides a platform for developers to share real-world IoT development tips, tutorials and best practices. This knowledge can be applied by IoT innovators to aid in connecting the unconnected, and to enable the future transformation of our cities, transportation and different industries, such as retail, to be powered by IoT. Learn more about the tracks below. IoT experts and innovators, submit your information and suggested topic to be considered as a speaker in the conference. Submit your info by April 21th. All submissions will be carefully reviewed by a committee and speakers will be chosen on a first come, first serve basis. In this form you will be asked to provide your contact info, along with which track of IoT you intend to speak on and an abstract of your proposed talk. Want to share your knowledge? Get in touch! This track provides a platform for developers to showcase and discuss the latest trends and what’s new in the IoT developer ecosystem, as well as how these innovations impact future IoT Commercial product development, deployment and management. This track provides a platform for developers to discuss trends and how to apply smart solutions to cities, and to the private and public transportation systems. This track provides a platform for developers to showcase the latest innovation and trends that are enabling smart retail and transforming the retail experience for consumers and producers. Justin has been working hand-in-hand with Intel over the last two years to organize and host Intel IoT events using Intel Edison, Real Sense, Joule and more. His role in this conference is to do anything and everything possible to ensure a smooth event and happy developers. The Intel® Black Belt Software Developer Program recognizes members of our communities who are known for their technical expertise and community leadership. They share their knowledge and collaborate with other members to make our communities stronger. The Black Belt title is reserved for exceptional members who contribute their extensive experience and expertise to the communities. This title also recognizes members for their time and effort contributing technical information to help make Intel® Developer Zone a valuable developer resource. 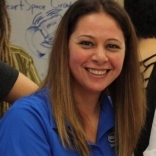 Wendy is your connection to the Intel Black Belt Developer and Intel Software Innovator programs. Her role is to discover, enable, and promote innovative work from independent software developers across a variety of technical fields – including IoT. For more info about these programs, you can reach out to Wendy on twitter– @WBoswell.